Our Sold Listings - Monarch Realty Inc.
2-family flat being sold with a single family home. 2-Family: 1st floor apt has huge, newer fully applianced kitchen. Newer full bath & separate utility room. 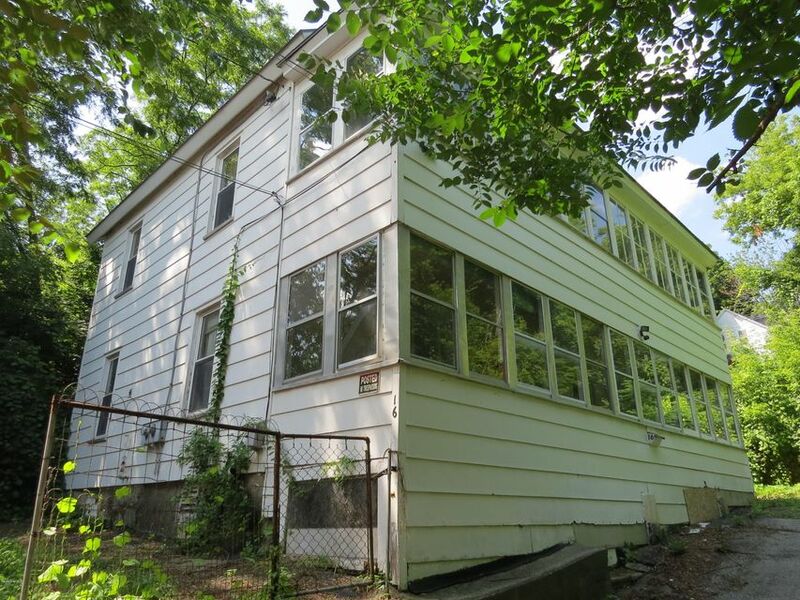 Large front living room, dining room & 2 bedrooms are all older & in need of renovation. 2 floor studio apt in good condition with bonus rooms in attic. Full, walk-out basement. Single Family: Mostly newer. 1st Fl laundry. Back deck, front porch. Large piece of land with plenty of off-street parking. Ashuwillticook Rail Trail located across the street. Close to supermarket, restaurants, post office, bus route & pharmacy. I have a question about the property at 31-33 Pleasant St Adams MA 01220 (#218589). I would like to schedule a visit for the property at 31-33 Pleasant St Adams MA 01220 (#218589). This Classic Flat Style Duplex Has Been Well Maintained Throughout The Years! These dated but in excellent shape units offer a double walk-in bedroom, full bath, full eat in kitchen's with lovely porches, and large living rooms. Hardwood floors, full basement and full attic, with a 2 car garage. Large level yard with an outbuilding. The past 20 years this has been gently used and only an owner-occupied unit has been lived in. Live mortgage free or easily covert this to a 4 bedroom 2 full bath home! I have a question about the property at 40 Richmond Ln Adams MA 01220 (#220444). I would like to schedule a visit for the property at 40 Richmond Ln Adams MA 01220 (#220444). 2 Family Flat with plenty of parking on a dead end st. Needs some fixing up, but some of it has already been done for you. Downstairs has granite counters with cherry cabinets, and ceramic tile in the kitchen. Newer laminate in the living room and bedroom. Upstairs needs some updating, but at this price is easily possible! Selling as is. Copper pipes have all been stolen. I have a question about the property at 16 Crossey Place North Adams MA 01247 (#220903). I would like to schedule a visit for the property at 16 Crossey Place North Adams MA 01247 (#220903). Wow! 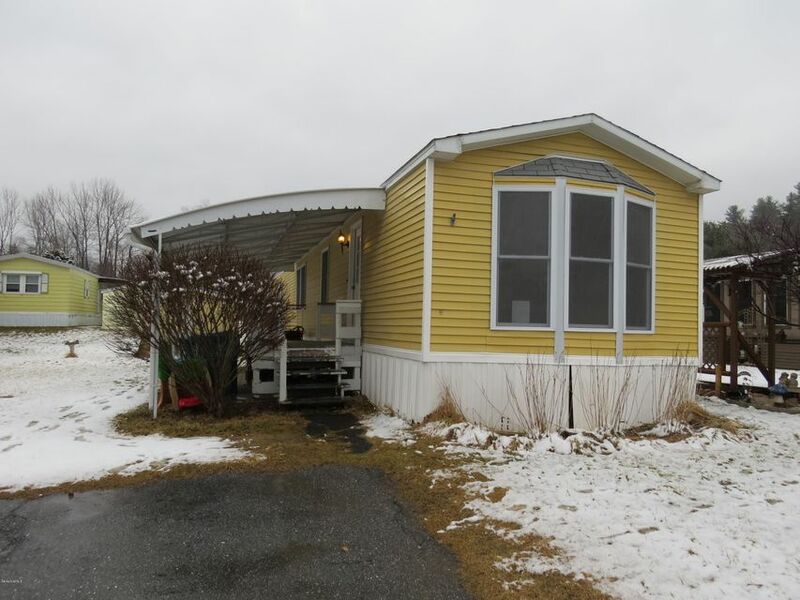 2 Bedroom 2 Full bath Mobile Home with many many upgrades! New Flooring, New kitchen cabinetry, New windows, new Vanities! Nice built in Hutch in Dining area. A Master bedroom with master bath and a walk in closet. Spacious with lots of natural light. A must see at this price! I have a question about the property at 9 Navajo Dr North Adams MA 01247 (#222093). I would like to schedule a visit for the property at 9 Navajo Dr North Adams MA 01247 (#222093). 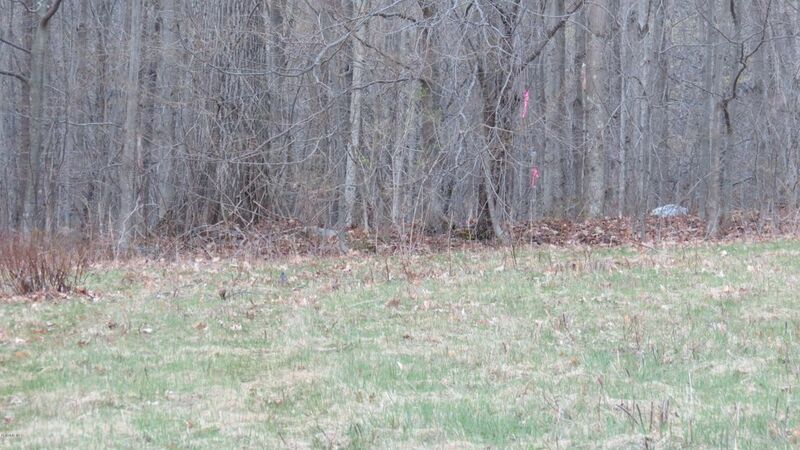 Very rare find.... 190 acres bordered by Green Mountain National Forest. Great for year-round home, 2nd home, hunting land, marketable timber, recreational land..... many different uses! Wildlife galore, turkey, deer & bear! There is an ancient spring on the land with an easement that supplies water to 3 other houses. Majority of acreage in Vermont Land Use Program for significant tax savings (REAL ESTATE ASSESSMENT & TAXES ARE ESTIMATED). 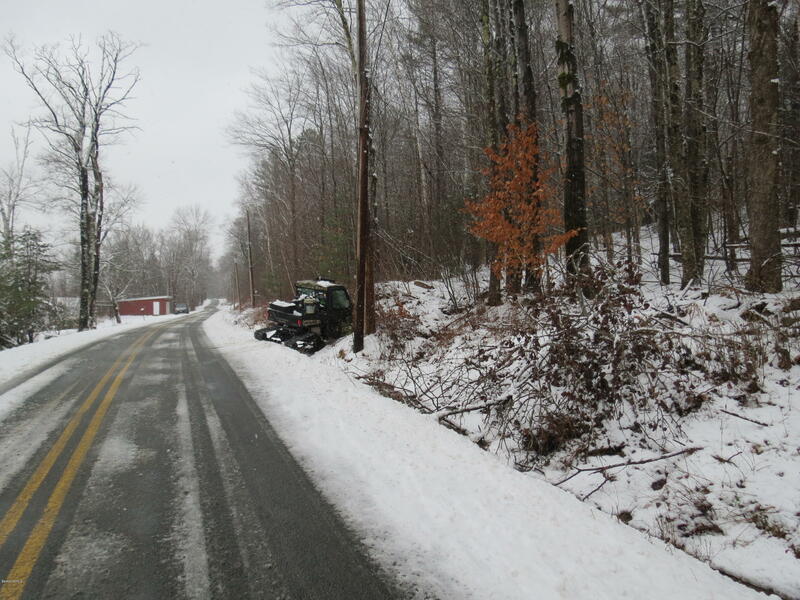 I have a question about the property at East Rd Stamford VT 05352 (#225677). I would like to schedule a visit for the property at East Rd Stamford VT 05352 (#225677). New in 2009! 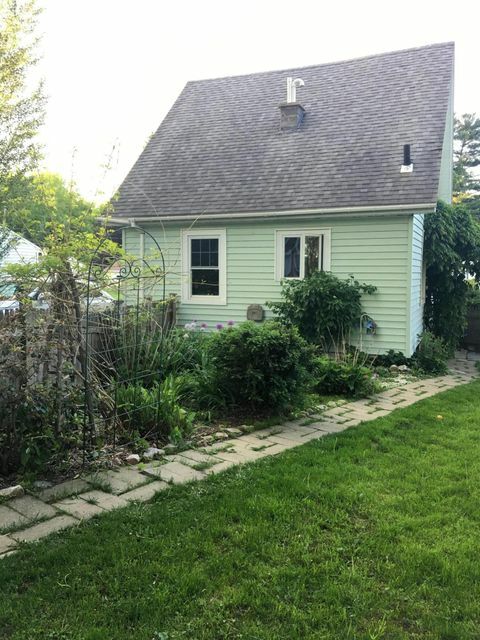 Adorable 1 bedrooom 1 1/2 bath home with low maintenance yard. Located on a dead end road. Beautiful hardwood floors. Nice open floor plan! A must see! I have a question about the property at 4 Back Row St Adams MA 01220 (#225703). I would like to schedule a visit for the property at 4 Back Row St Adams MA 01220 (#225703). Thousands of acres of Mt. Greylock State Reservation border this land on every side except the road. You can hike & hunt for hours or days from this property. Surveyed & Perced. Ready for you to build your dream home. Offering southern exposure & only 15 minutes to Williamstown & Pittsfield. 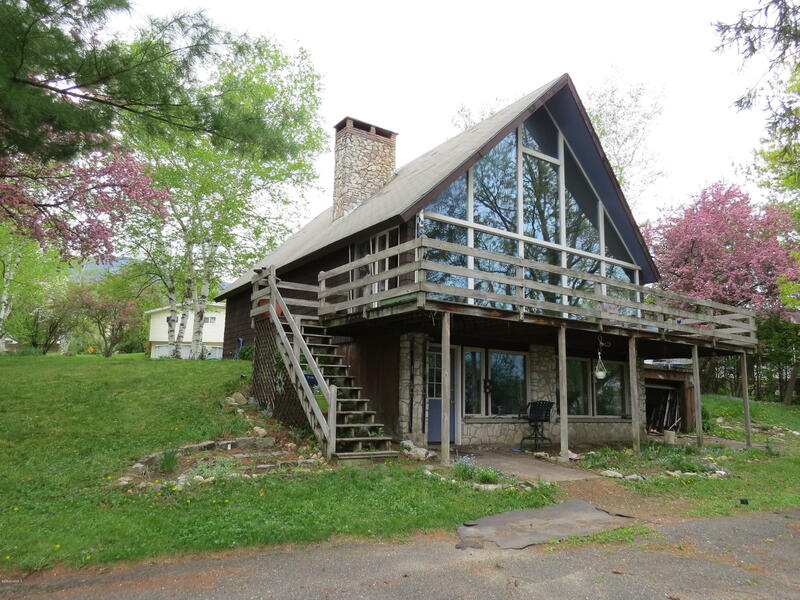 Close to Jiminy Peak Ski, lakes & tons of protected land! This land is ready for your build! About 1.5 acres are open land. I have a question about the property at North Main St Lanesboro MA 01237 (#218788). 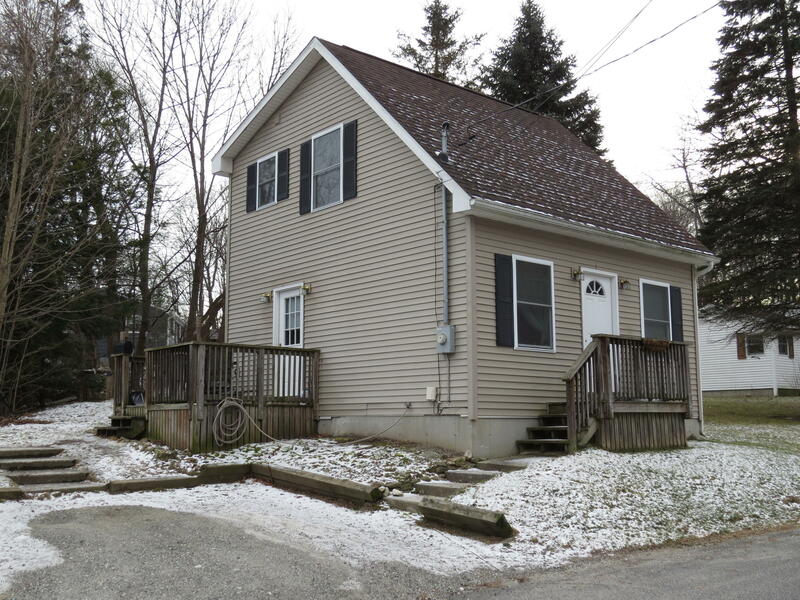 I would like to schedule a visit for the property at North Main St Lanesboro MA 01237 (#218788). If you are a person of vision & imagination; this is a must see for you! Beautiful views from every angle! Come see this 2 bedroom 1 bath home with loft space for anything the imagination desires! Well built chalet with Stunning Rustic Stone, wood burning fire place that runs from Basement to roof! So many possibilities! Nice neighborhood, and close to downtown area. (update) There is some frozen pipes that have split. Boiler is drained, Selling As Is. I have a question about the property at 13 Grant St Adams MA 01220 (#225177). I would like to schedule a visit for the property at 13 Grant St Adams MA 01220 (#225177). Located a mile to Mass MoCA & offering a little country within the City. This 2-family home is in move-in condition & boasts almost a 1/2 acre of land & a 3-car garage with 3-year old roof! Downstairs apartment features an eat in kitchen with brand new stainless steel refrigerator & stove, living and dining room along with two bedrooms and a bath. Beautiful front sitting porch with city & mountain views. Private back deck overlooking woods. Upstairs has a kitchen with refrigerator & stove, living area, 1 bedroom and a bath. Large private backyard borders up to mature woodlands. Oil boiler is 4 years young & natural gas water heaters are only 6 months young. Each apt has it's own 100 amp electric panel. Washer / dryer hook ups in basement. Public bus service at bottom of street. I have a question about the property at 33 Johnson St North Adams MA 01247 (#224607). I would like to schedule a visit for the property at 33 Johnson St North Adams MA 01247 (#224607). Location, Location, Location! 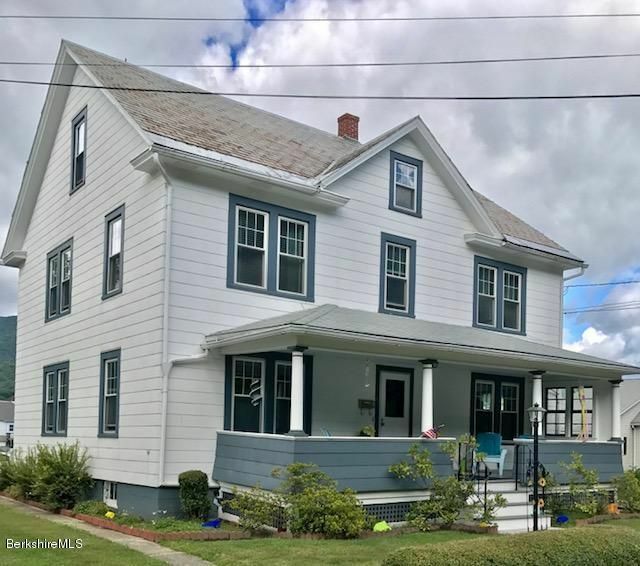 Walking distance to downtown North Adams, and Mass Moca. Grand 4-5 bedroom home with 2 full baths. Nice hardwood floors, vinyl replacements windows throughout. Upstairs large laundry that was used as little kitchenette area. Hardwood under most if not all carpets. Huge covered porch out back for summer eating. windows and screens, so no bugs! Nice front porch to sit out on. Big walk up attic for storage! Tons of Potential for many different options. A must see. I have a question about the property at 65 Chestnut St North Adams MA 01247 (#225784). I would like to schedule a visit for the property at 65 Chestnut St North Adams MA 01247 (#225784). A Little Sweat Equity and you could have a nice 2 Family to collect some rents! Property is being sold ''As is''. 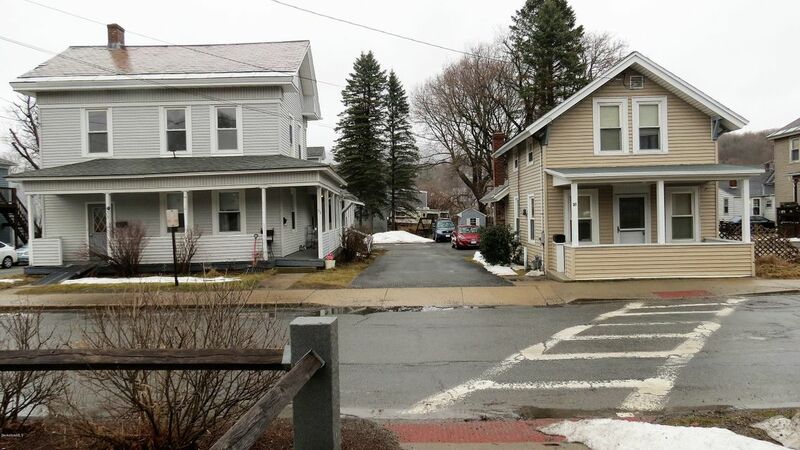 I have a question about the property at 126 West Main St North Adams MA 01247 (#216506). 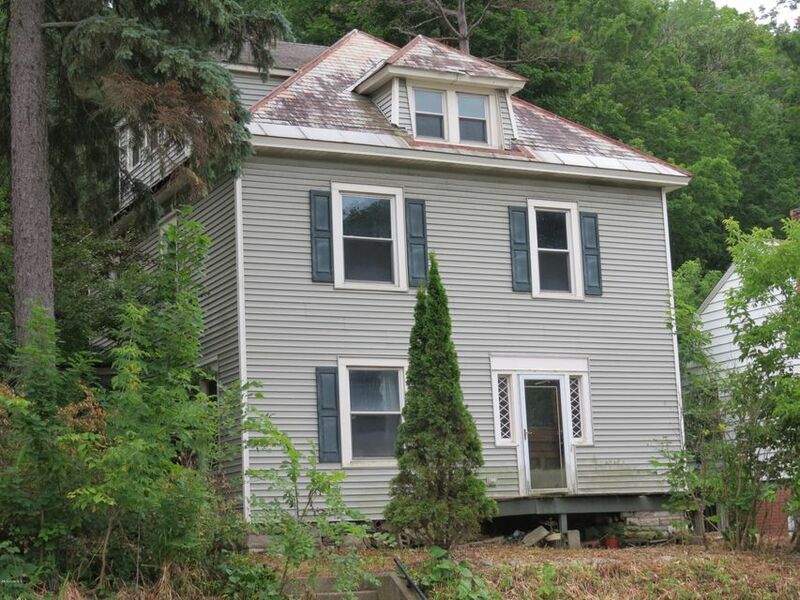 I would like to schedule a visit for the property at 126 West Main St North Adams MA 01247 (#216506). This home offers a large landscaped magical private fenced back yard and patio with views, established gardens and space to play and relax. Adorable Cape with hard wood floors, living room, dining and kitchen on main level. Two bedrooms and full bath up. Detached garage. I have a question about the property at 97 Mcarthur St Pittsfield MA 01201 (#219587). 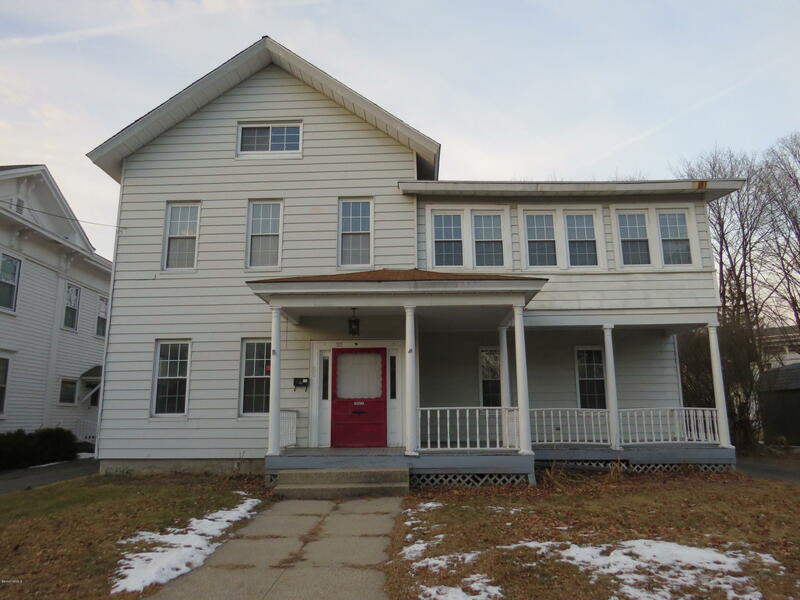 I would like to schedule a visit for the property at 97 Mcarthur St Pittsfield MA 01201 (#219587).